The rough bump of a common wart isn’t a welcome sight for many people, and they can be contagious. To hasten a wart’s demise painlessly, visit Dermatology Consultants of Gloucester in Gloucester, Virginia. Dr. Timothy Gardner can treat your warts and help you learn how to avoid developing warts again. Call the office or use the convenient online booking tool to make an appointment. Common warts stem from a form of the human papillomavirus (HPV) that’s easily transmitted by touch. The human papillomavirus has over 100 types, but just a few of these are responsible for common warts. While HPV can develop into cancer in some locations, such as the cervix, the subtype causing warts is harmless. The infection usually transmits through direct skin contact with those infected with a wart-causing variation of HPV, though it’s possible to contract the infection by touching something that another person’s wart touched, such as exercise equipment. Since each person’s immune system reacts in different ways, touching a wart does not guarantee you’ll develop your own wart. Children and young adults generally contract warts more often, as do those with compromised immune systems, such as people taking immunosuppressive drugs. There’s little chance of complications from warts, they don’t turn cancerous, and some may go away on their own. How do I identify a wart? Common warts appear as bumps that are rough and grainy in appearance. Color typically ranges from white to pink or tan, and warts may be the same color as surrounding skin. Warts feel rough to the touch, and there may be tiny black spots (small clotted blood vessels) throughout the wart. Common warts can resemble lesions from other skin disorders, so if you have unusual symptoms with what appears to be a wart, it may be another condition. 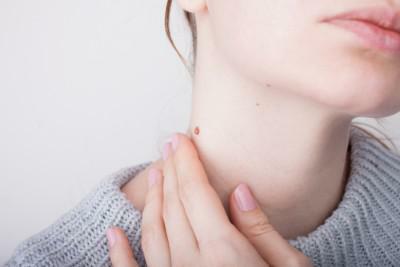 That’s why it’s important to visit Dermatology Consultants of Gloucester if your wart-like growth is painful or you see changes in its appearance or color, or if the growths bother you or interfere with an activity. At Dermatology Consultants of Gloucester, Dr. Gardner typically uses liquid nitrogen cryotherapy to treat warts. Ultra-cold liquid nitrogen is swabbed onto your wart and a blister forms around and under it. The dead tissue starts to shed and the wart is gone in about a week. Additional treatments may be required to completely remove a persistent growth, and cryotherapy may cause pain and discolored skin. Occasionally, peeling chemicals, such as salicylic acid, bichloroacetic acid, and trichloroacetic acid are used to remove warts. To get rid of warts for good, visit Dermatology Consultants of Gloucester. Call to book an appointment or use the online scheduling tool.